Developing a lifelong love of learning through play and exploration. • occurs in a child-centered, nurturing environment. 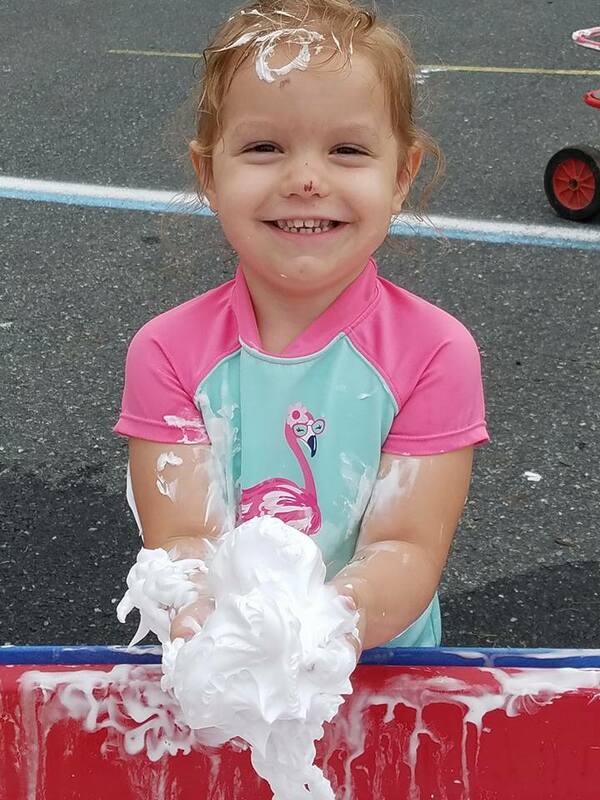 Our preschool programs for two to four-year olds offer small class sizes with a maximum teacher to child ratio of 1:6. 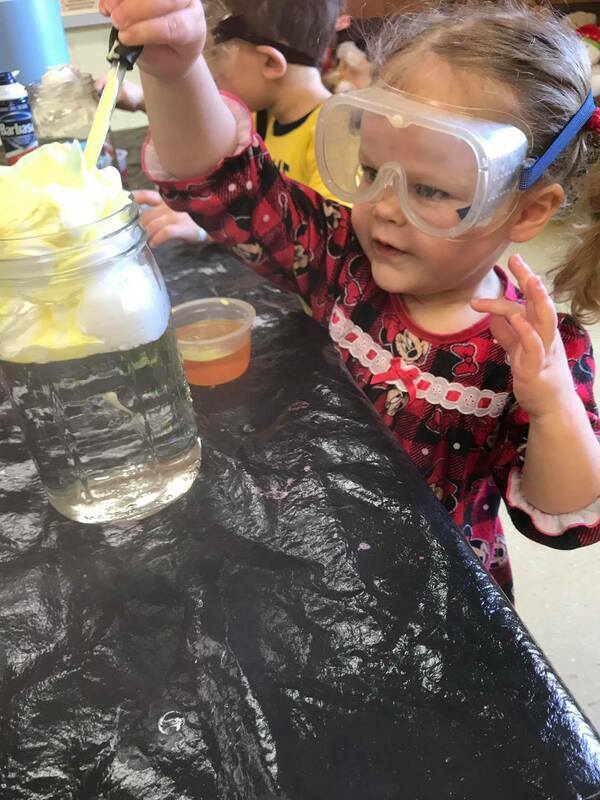 All programs include science discovery, music, art, sensory activities, unstructured play and outdoor play and exploration. The three and four-year-old programs also include field trips and weekly Spanish enrichment. Children must turn the age of the program by September 1st , with the exception of the Young Twos program. Two-year olds may still be in diapers or pull-ups. Art is focused on the experience and on exploration of techniques, tools, and materials rather than the finished product. Each child’s art is entirely their own. Children may choose to discuss their art and add print to it (on their own or by dictating to a teacher). Through this process of sensory exploration and creating art, children practice cognitive skills, creative thinking, language, self-expression, social and motor skills. Science is a way of understanding the world around us. In science inquiry, teachers provide materials and questions that open exploration for students and deepen it through children’s reflection on their exploration. Rather than teaching children what to think, children learn how to think, developing critical thinking skills and becoming independent inquirers about the natural world. Children explore objects, materials and events, raise questions, make observations, describe, classify, sort, record, identify relationships, and share and discuss ideas. Through this process children are also developing skills in language and math. Making friends. Showing anger in a healthy way. Figuring out conflicts peacefully. Taking care of someone who has been hurt. Waiting patiently. Following rules. Enjoying the company of others. All of these qualities, and more, describe the arc of healthy social-emotional development. Like any skill, young children develop these abilities in small steps over time. 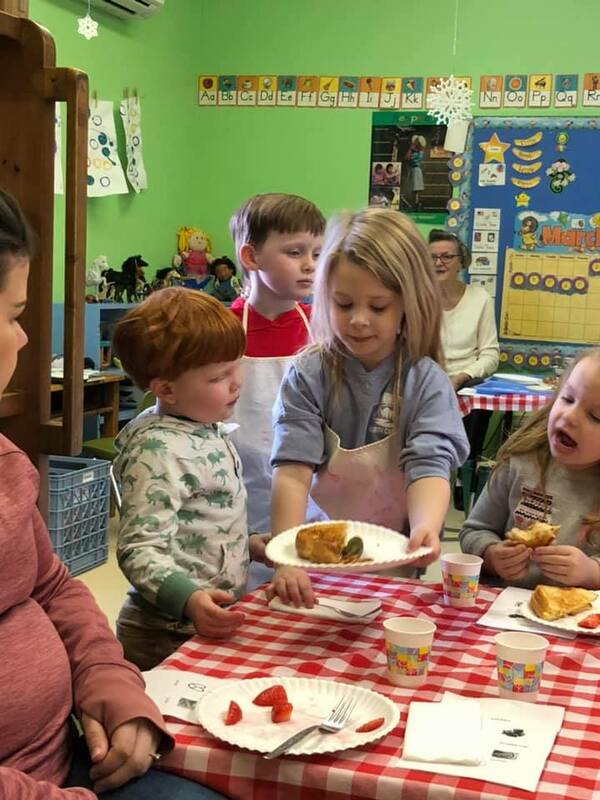 These skills are the foundation for future school and academic success and are taught in our classrooms and on the playground through modeling, role-playing, and stories as well as in those teachable moments. Learning skills for school readiness & beyond through play and exploration. Weekly music classes for the 2, 3 and 4-year olds are led by a dedicated music teacher. The music program includes rhythm, percussion, movement, singing, and accompaniment on piano, as well as teaching music theory and dynamics. In addition to creating an appreciation for music and a method of self-expression, the music program will teach and reinforce skills including oral language, self-regulation, sequencing and patterning, large and small motor skills, body awareness, creativity and social skills. St. Luke’s is fortunate to have a large playground and bike riding area as well as natural habitats on our grounds in which the children can explore and play. We are also within walking distance to Railroad park, the walking trail, the covered bridge, the library, downtown businesses and Chesapeake Bay Maritime Museum. Young children need to MOVE! Outdoor play encourages children to communicate, to express their feelings, and to discover and investigate the world around them. Children also have the space to develop and strengthen their motor skills on the playground, riding bikes, playing games and going on walks. All classes will spend a portion of their morning outdoors. If it is too cold or wet, children will have time to move and play in our large space in Fellowship Hall.